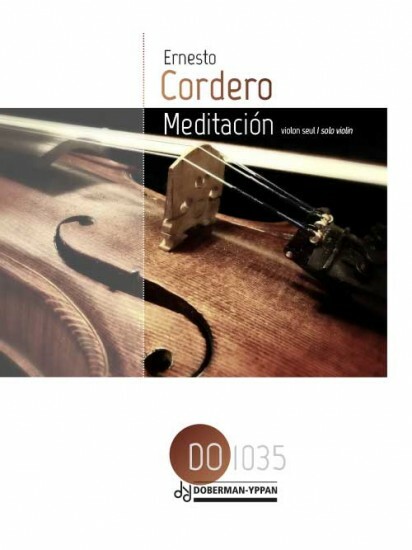 Maestro Ernesto Cordero (1946), distinguished Puerto Rican composer, is best known for his guitar concertos and solo pieces, which are part of the standard repertoire of that instrument. 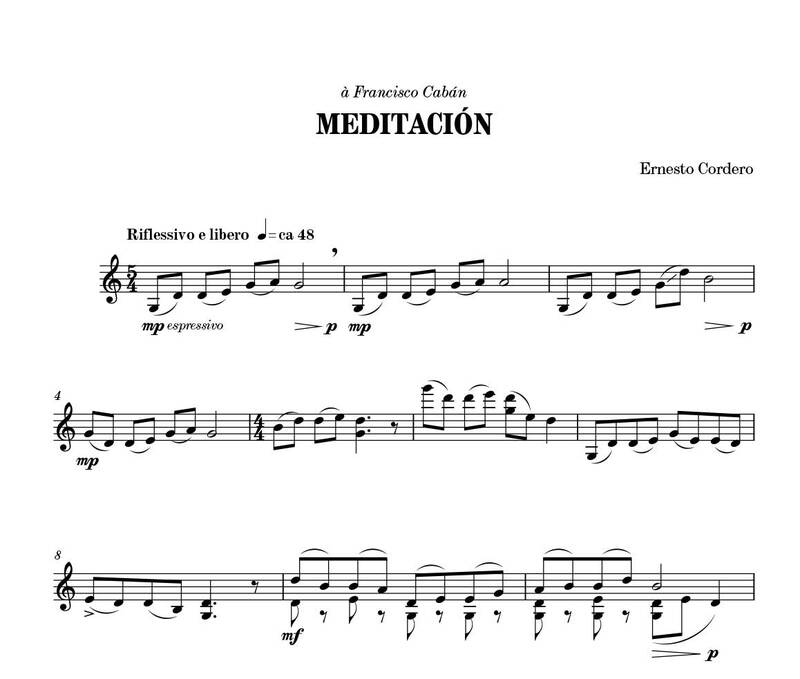 However, he has also written two violin concertos, and in 2010 wrote the Meditación for violin solo and dedicated it to me. It is a fine example of his predominant modal harmonic language and explores different textures and registers of the violin. It shows a thorough knowledge of the expressive qualities of the instrument.